A new chapter in the recent patent merry-go-round sees Apple attempting to get sales of HTC’s smartphones blocked, writes Bloomberg. The move comes after Apple claimed HTC is infringing upon five of its patents,ranging from movement sensors, to hardware for LCD touch screens. This isn’t the first time Apple has used the International Trade Commission to attack its smartphone and tablet rivals, with Samsung also recently feeling the full force of Apple’s legal team. 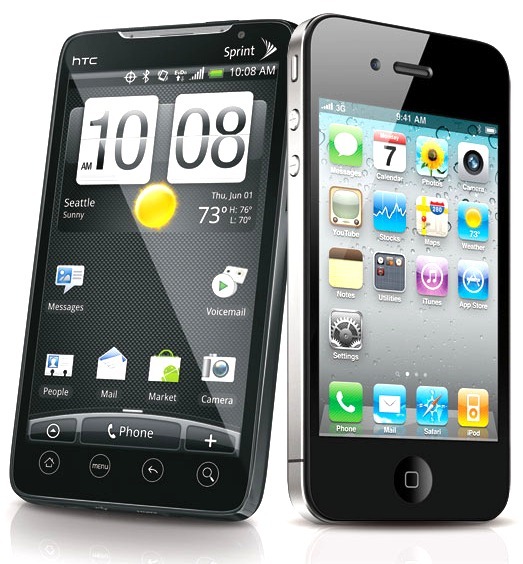 Both Samsung and HTC are accused of copying hardware and software currently used by Apple’s own iPhone 4, with Samsung’s Galaxy S line of smartphones coming in for particular attention. Apple, which has accused competitors of “widespread imitation,” also has patent battles at the trade agency with Samsung Electronics and Motorola Mobility Holdings Inc., both makers of Android-based phones. The Samsung complaint targets both the Galaxy phone and Galaxy tablet computer. Apple is seen by many to be taking the battle to the courts, when it’s argued that they should be taking it to the shelves by offering new, innovative smartphones – something the Cupertino outfit hasn’t struggled with in the past. Unsurprisingly, Taiwan-based HTC are not taking the claims lightly. With Apple seeking that HTC be prevented from selling its phones in the United States, we’re fairly confident this one will run and run. And just when it looked like we might be running out of patent stories!